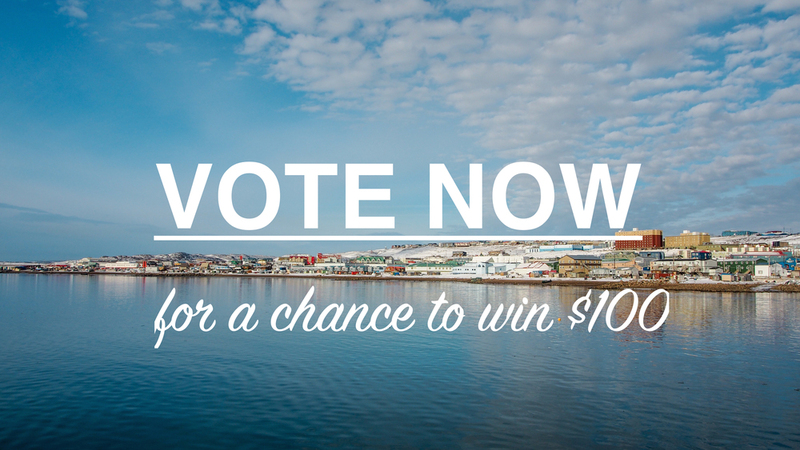 Best of Iqaluit 2014: Vote Now! Welcome to the first ever Finding True North: Best of Iqaluit poll! Contrary to what many non-Iqalummiut may think, Canada's smallest capital city has a decent selection of eateries and shops (just check out our guide to shopping in Iqaluit for proof). This year, we want to know the best food and entertainment options in the city, as voted by our readers. The winning establishments will be announced in a Best of Iqaluit 2014 post at the start of the new year. Use the form below to vote for your favourite restaurants, bars, and other local spots. Don’t forget to enter your name and email address for a chance to win a $100 gift card to the winning restaurant in the “Best Upscale Dinner” category! Maximum one entry per person. Voting closes on December 31, 2014 at 12:00 midnight, EST. EXTENDED until MIDNIGHT on January 2, 2015! Don’t forget to like us on Facebook and/or follow us on Twitter to find out who will come out on top in the Best of Iqaluit 2014 list!